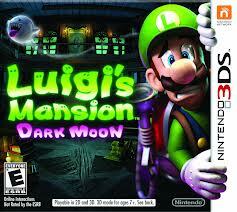 Luigi has always been a favorite of mine and I always preferred him over Mario. So I was very excited to play a game that he starred in. I was even more glad after playing it a bit and realizing that not only was this a game with Luigi, but it was also a very fine game as well. Luigi deserves such. Everything about it was very unique. With all the 1st person shooters and platformers out, it was very refreshing to play something so original. This game really took advantage of the 3DS hardware, making for a very unique experience that couldn’t be had on other systems. The game was very well paced, with chapters just long enough to be fun but not too long to play. The mansions were also very well done as well. There’s hidden collectible stuff all over the place if you’re one who must unlock everything. This was an extremely well made and original game. Luigi! 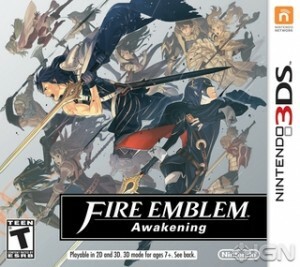 I’ve been a big fan of Fire Emblem games for many years now, and I do believe Awakening was the finest installment yet. I definitely played this game too much and found myself wanting to play it at weird times. While this also says a bit about perhaps I need to find better things to be doing, it clearly also reflects what a fine game this was as well. I do enjoy strategy games, and challenges as well. The perma-death, is what really makes this series stand out to me. When a character that you’re spent way too many hours leveling up and kinda getting to know in a weird way dies in a battle, they are dead. No extra lives, bringing back from the dead, phoenix downs, etc. They are gone. While it many sound ever more strange is how attached you become to these stupid characters and just how much effort and thought I found myself spending before each and every move to ensure their safety. There were nervous moments indeed, but I somehow played through Hard level without losing anyone until the very last chapter. I thought that was pretty impressive given how hard and unforgiving this game can be. This was easily one of my all time favorites and was really impressed with how well done and how much there was to do in this game. The amount of downloadable content has been impressive as well, fine job Nintendo. Though I’m bummed that it’s over, I’m also very glad that I feel like I’ve gotten a good chunk of my life back as well. I’ve found my trusty Nintendo 3DS to be a reliable killer of time over the past year or so. It’s done an admirable time of entertaining me from time to time. 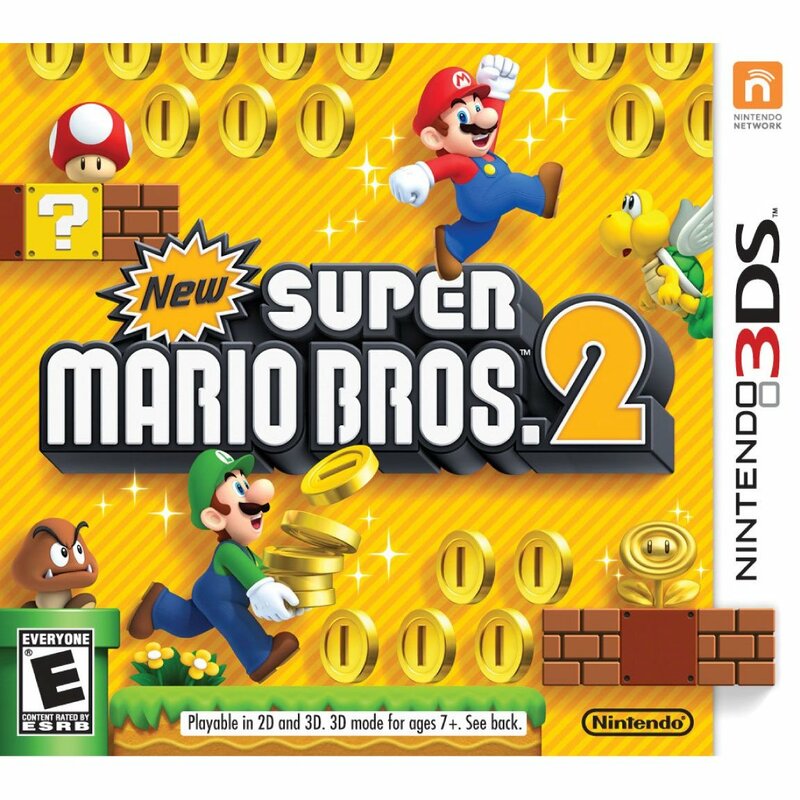 So back when all the stores were running all of their big holiday sales I picked up New Super Mario Bros. 2 for pretty cheap and finally got around to playing it a few weeks ago. I’m a big fan of the New Super Mario style as it takes me back to the simpler yet still challenging days of my side scrolling youth. 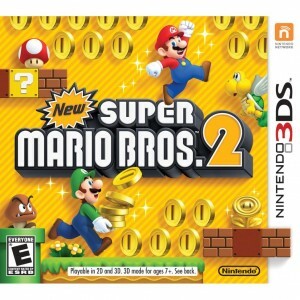 I’m very glad to say that this is another excellent installment in the Mario franchise. It’s nothing groundbreaking and not quite as good as Super Mario 3D Land (which you should play if you haven’t) was, but still a very enjoying time. It’s nice to be able to just pick it up and walk somewhere and try to beat a level while collecting all 3 Star Coins, then return to whatever it was I had just taken a break from. Though there are times where you do get sucked into numerous attempts to get a difficult Star Coin, overall the difficulty is just about right. Very fun and just what you’d expect from a Mario game. 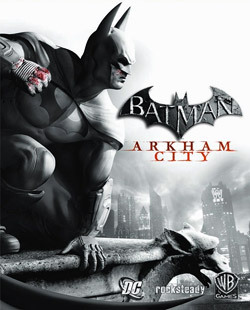 I did buy a Wii U a month or so ago and was excited when I saw that Batman: Arkham City was released for it. It was a game that since it’s release I’ve been meaning to play, but somehow just never had gotten around to it. Gotta admit this was as good as I’ve heard. I’ve never been a really big Batman fan (more of a Marvel guy), but whether you were Batman or not it was still a very impressive game. Every now and then something comes along that raises the bar a notch, and this was one of those games. The story and voice acting are pretty amazing. Better than what you’d find in the biggest budget movies in my opinion. And the gameplay does a pretty terrific job of making it feel like you are Batman while you play. His moves, all the gadgets, they really seem to get it. I was also glad that I waited until it came out on the Wii U. I thought that the use of the Gamepad screen was pretty convenient. Having the map and all the gadgets on the second screen was pretty convenient. No pausing to select stuff was nice. A very impressive game, and amazing example of just how far games have come. Every Christmas I usually end up playing some video game as a last resort means of escape from holiday craziness and such. This year I went with Paper Mario: Sticker Star on the 3DS since it’s Mario and who doesn’t like Mario and being on the 3DS it gave me more options to retreat with it as holiday craziness escalates. 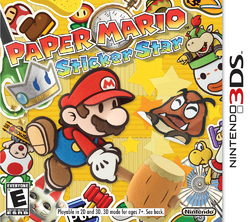 I’ve enjoyed the previous Paper Mario games over the years, so I had some high expectations for this sticker fun. Once again I thoroughly enjoyed this Paper Mario fun. It was good stuff. I thought the whole sticker system was pretty cool and a creative idea. Everything was pretty much sticker based, battles, secrets, etc. However, my only complaint was that some parts were just difficult to figure out at times. Like when to use certain stickers to unlock things and collecting the Wobbler parts was kinda tough to figure out. Luckily the internet exists and got me through these few tough spots after numerous tries. Or maybe it isn’t hard to figure out, but I’m just too old for these games anymore. Just finished up Halo 4, and while I’m not sure exactly whom I was shooting since I hadn’t played the previous 3 I do know that I did somehow save humanity. So I feel kinda good about that (in a fake video game way). The campaign was mighty impressive, and I know I’ve stated this many times but am in awe of the amount of production value that goes into a major video game these days. The sound, story, voice acting, etc. are all as good if not better then a blockbuster Hollywood film. Very impressive amount of work and polish on display. I think I was most impressed by the sound and graphics. The music was pretty awesome, and does an amazing job of getting you into the game whether you intended to or not. Some very dramatic stuff. The pacing of the campaign was really impressive too. I’m not the type to sit down for hours and play in one sitting. The auto-save made it easy to play and little here and a little there and pick right up where I left off. I also was genuinely bummed at the end when you lose a friend. While it wasn’t quite as sad as Marley and Me, I do tip my hat at a game that could make me care for the characters involved. This was a pretty amazing game. 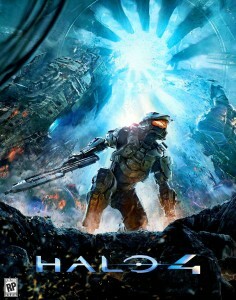 Well done 343 Studios.